Android location sharing alternatives to Find My Friends. Apple’s Find My Friends app lets you share your device’s location with other people, but it only works for iOS devices; there's no Find My Friends Android app. Fortunately, Android users have several app alternatives for location sharing with people who use either Android or iOS; in most cases, everyone you want to share your location with will need to install an app. 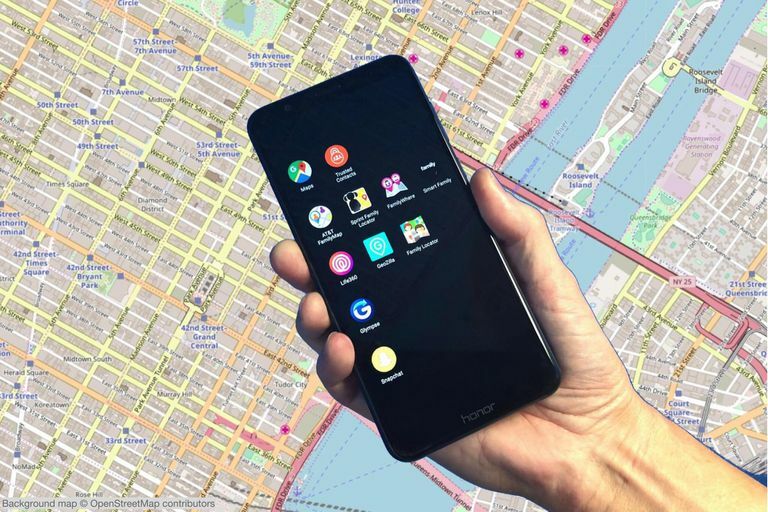 Many of these apps not only show you a device's location, but also its battery level, so when a device disappears you can deduce it was due to a low battery. Many of the apps also offer additional features, such as chat and location history, often for an additional fee. The following location sharing apps are all reasonable options for Android devices, although the feature set, pricing, and sharing features vary significantly. Simple location sharing from a free app most people already have on their phone. Lacks the ability to set or receive alerts based on location changes. You likely already have a free app that allows you to share your location with friends and family on your phone: Google Maps. Tap the three horizontal lines in the upper left of the Google Maps app to see menu options, including Location Sharing. You may need to sign in to your Google account, but once you do, you can share your location with other people temporarily or until you turn location sharing off. You may choose to share your location only when you’re concerned or unable to respond. Management of short-term sharing options may confuse some people. Google’s free Trusted Contacts app lets you share your location with friends or family members who use either Android or iOS devices. Unlike Google Maps' Location Sharing, this app allows you to choose an auto-response time; if one of your trusted contacts requests your location, but you don’t respond within the selected time, Trusted Contacts will automatically share the location of your device with them. Easy to add a service intended to work with your network. You’ll see a larger monthly mobile phone bill. AT&T FamilyMap: $9.99 per month for up to 10 lines. Sprint Safe & Found: $6.99 per month for up to 5 devices. T-Mobile FamilyWhere: $10 per month for up to 10 lines. The app is Android-only, although the company does offer an alternative way to share location and track iOS devices. Verizon Family Locator: $9.99 per month per account for up to 10 phones. Parents may find the information provided with optional upgrades helpful. Yet another way to send and receive messages from your phone. Life360, available for both Android and iOS, offers location sharing services as well as several upgrade options. Their core services include the ability to set and receive location alerts when family or friends arrive or leave a location, as well as chat within the app. Upgrade to Life360 Plus for $2.99 per month (or $24.96 per year) for unlimited place alerts, 30-days of location history, priority location updates, and information about crime hotspots. Upgrading to Life360 Driver Protect for $7.99 per month (or $69.96 per year) lets you track speeds and phone use while driving, and detect crashes and notify emergency services, among other features. Location-based lists remind you (or a family member) to do a task at a specific location. Additional tracking with devices like the Apple Watch, Fitbit and others is promoted on the GeoZilla website, but only the Apple Watch is currently supported. GeoZilla offers location sharing, in-app chat, and geofencing alerts, also known as the ability to be notified when people arrive at or leave an area. Location-based to-do lists let you add and assign tasks to be completed at a specific location, such as a reminder for a family member to get something at a specific store. Upgrade for $1.99 per month (or $19.99 per year) to schedule alerts, access 14-days of location history, and receive unlimited location alters, among other benefits. You can ask for alerts when a family member enters a safe zone, or when they enter an unsafe place you’ve defined. Not much need for an additional way to chat with family and friends on our phones. With location sharing, alerts, and in-app chat, Sygic Family Locator delivers the core features families might expect from their Android and iOS apps. Sygic also offers the ability to set both safe and unsafe zones for notifications; when a family member enters a safe place, like home or school, or when they venture to a forbidden area, you’ll know. Upgrade from the free features to Premium for $13.99 per year to access real-time tracking, 7-days of location history, and unlimited safe/unsafe zones. Useful for short-term sharing with people you’d prefer not to share your location with permanently. No option for permanent location sharing with close family or friends. Glympse lets you temporarily share your location with friends and family for free. You can use the app on Android or iOS, but the person you share your location with doesn’t need to install the app, as they can simply view your location in a browser. As a result, Glympse is an excellent way to share your location briefly with people you don't know very well, such as business contacts, acquaintances, or extended family. If you use Snapchat often, Snap Map lets you see where your friends are for free. Snapchat updates your location only when you open the app. Not every family member or friend may use Snapchat. If you, your friends, and family members use Snapchat, you may already know about the Snap Map. While in camera mode, pinch your fingers, as if zooming out on a photo or map. Snapchat will show you the Snap Map, which lets you share your location and see the location of your Snapchat friends on a map. By default, you’re in “Ghost Mode”, with your location unavailable, until you choose to share.